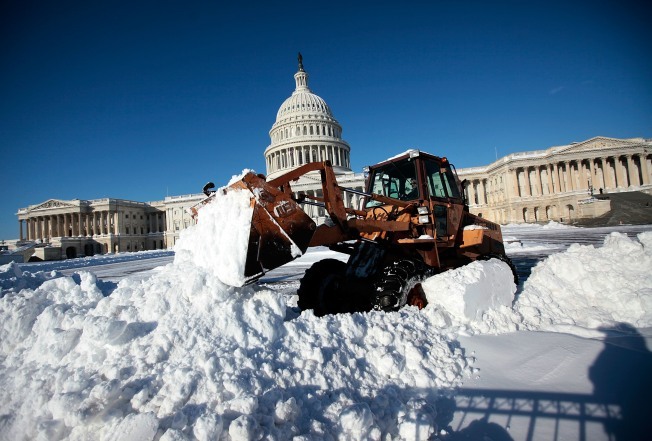 Are you angry over the District’s response to the recent blizzards? You now have a chance to tell city leaders exactly how you feel. DC Councilmember Jim Graham wants to hear your thoughts on everything from street plowing to downed trees. He’s even holding hearings later this month. “We need to find out what the city did well during the December 19th blizzard and why our response to the storms this month was different,” Graham wrote in an open letter to the community. He also wants to hear from the public about legislation that would fine residents and businesses for not clearing snow and ice from nearby sidewalks. The first hearing is scheduled for Friday, Feb. 26 at 11:00 a.m. in the Wilson Building. The second is scheduled for March 10, at 1:00 pm; it will also be held in the Wilson Building. If you’d like to speak at either hearing, contact the Committee Office at: (202) 724-8195 or e-mail ahawkinsmason@dccouncil.us.